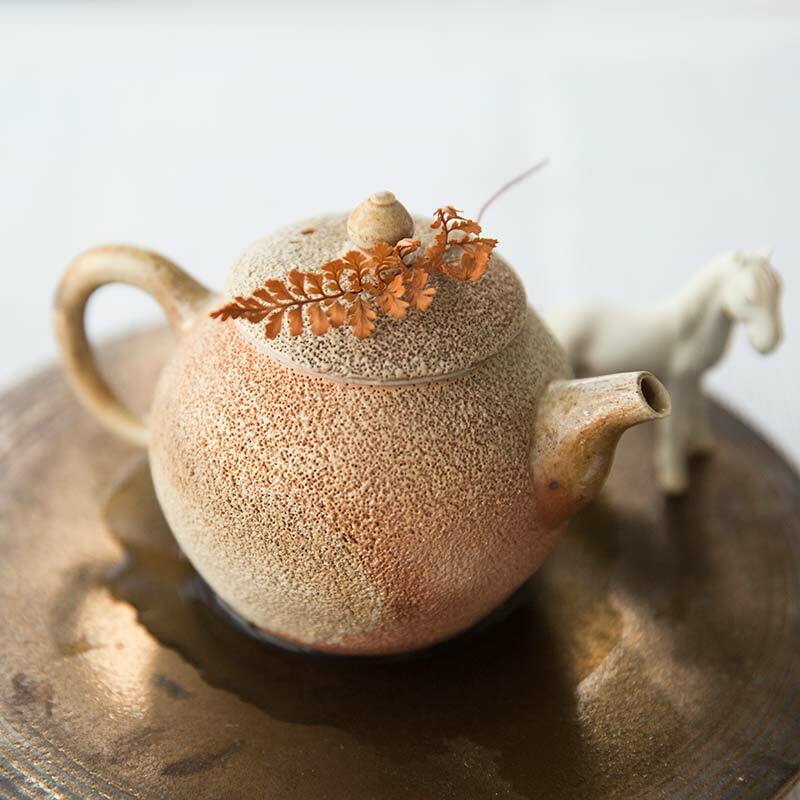 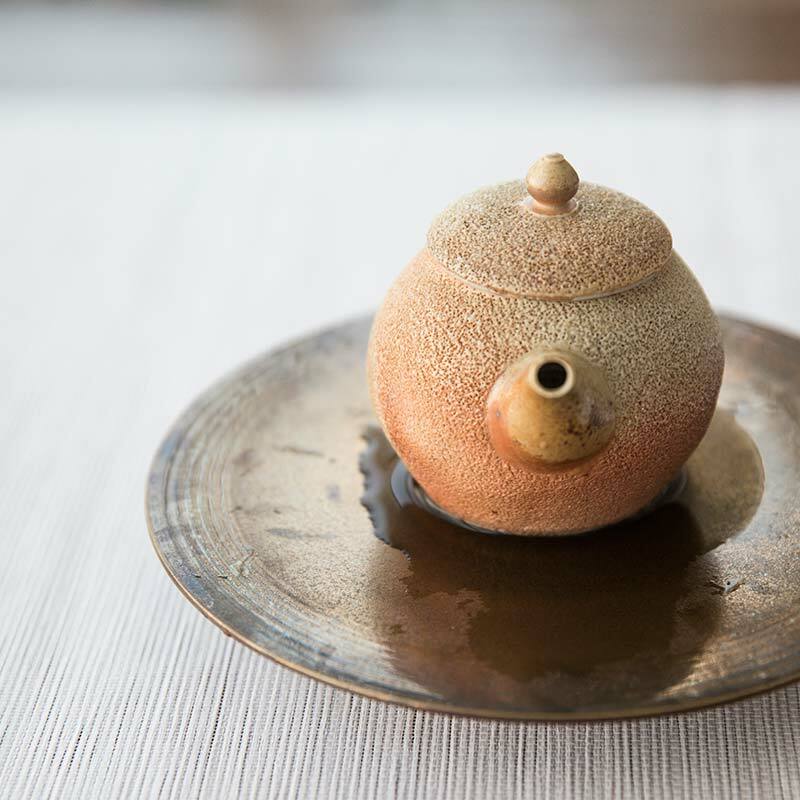 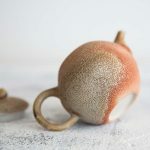 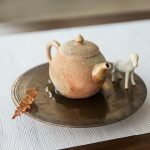 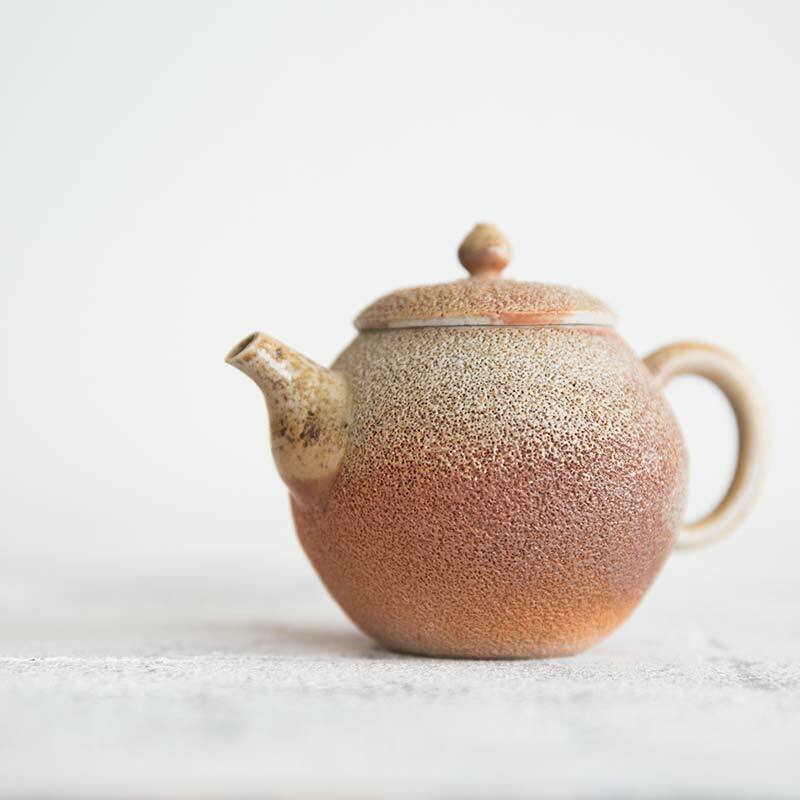 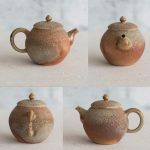 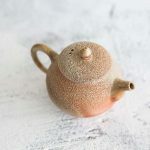 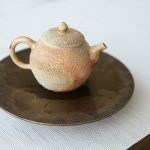 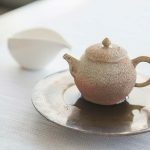 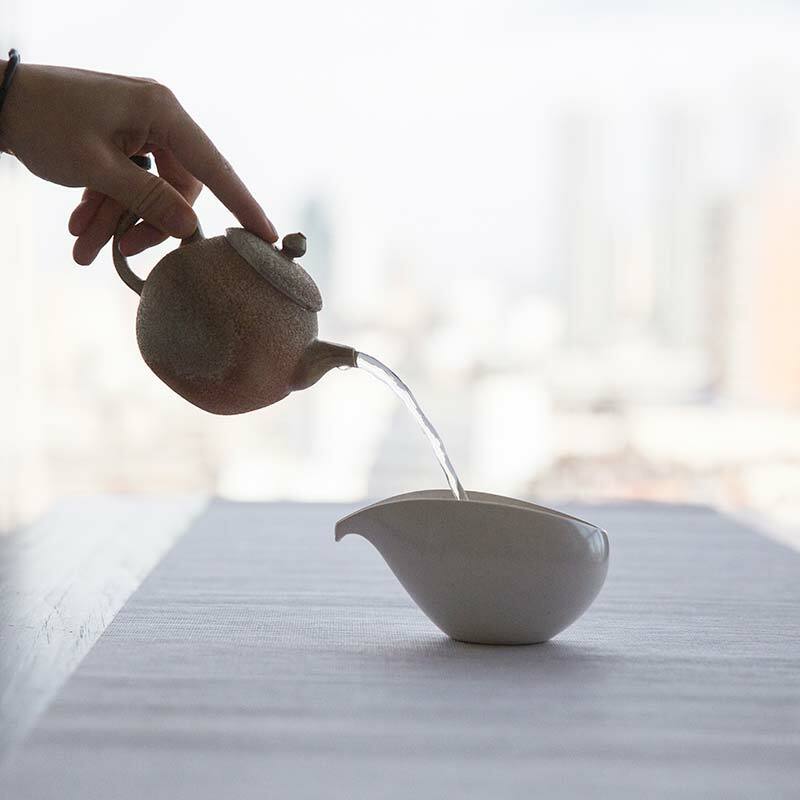 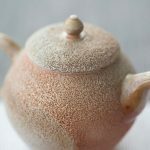 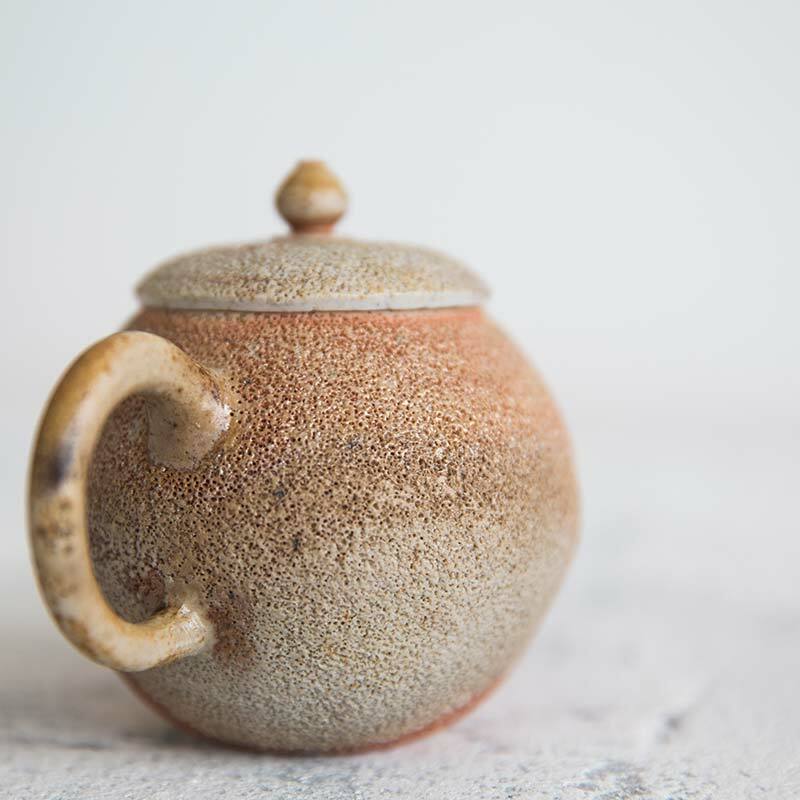 This wood fired teapot is completely unglazed. The colours and patterns are the result of several days straight of wood firing. 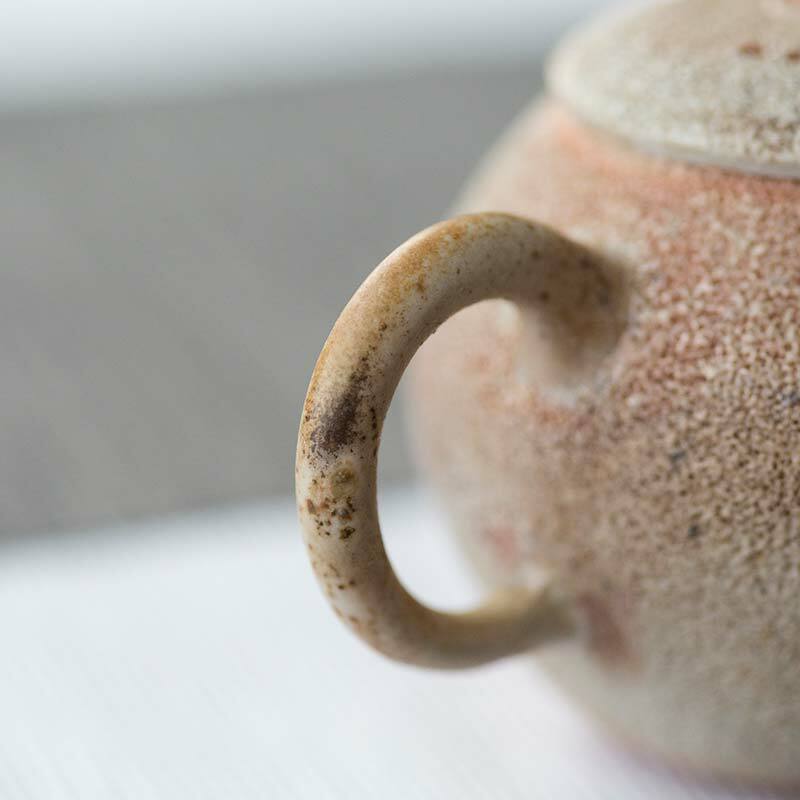 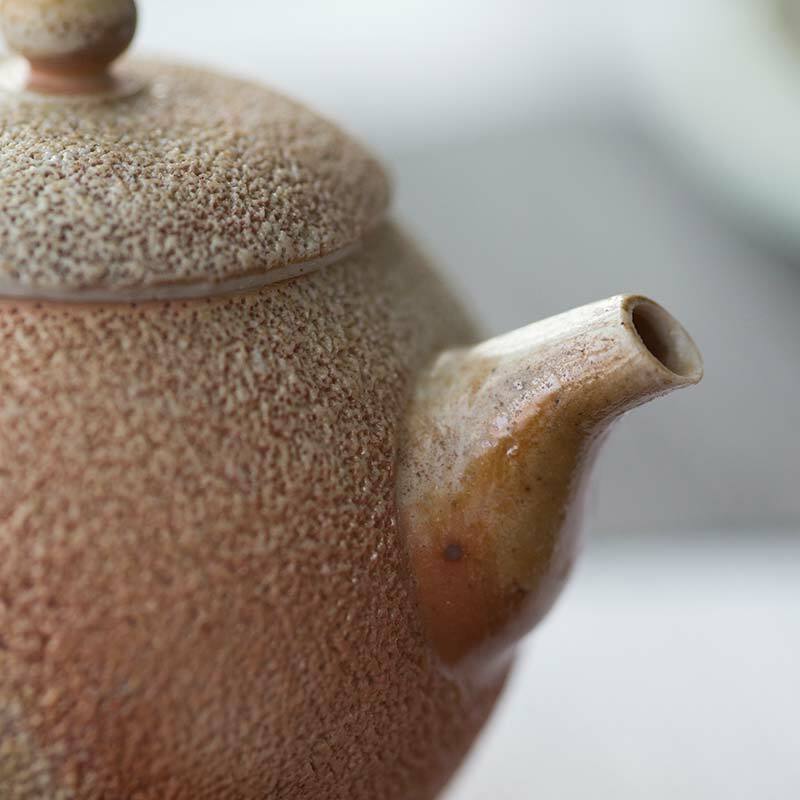 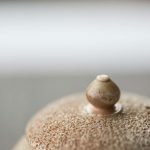 Made in Jingdezhen, this pot also features a “fengwo” texture of rough holes on the outside. 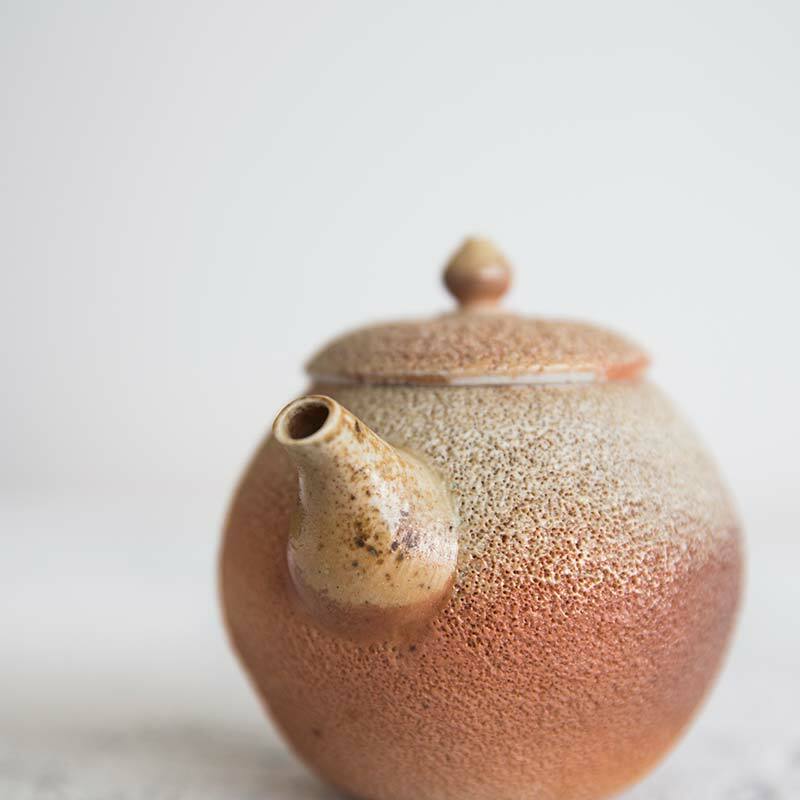 It holds approximately 210ml of liquid and has a ball filter.